Austin was named to honour Dr Robert Blackie Austin, who was the Government Medical Officer in Armidale at the time of the College's establishment. The University Council wished to commemorate his notable contribution in the establishment of the New England University College and the University. In 1972, its first year, Austin was for women only. In 2012 Austin College celebrated its 40th Anniversary, providing a home for more than 8000 students since our doors opened in 1972. 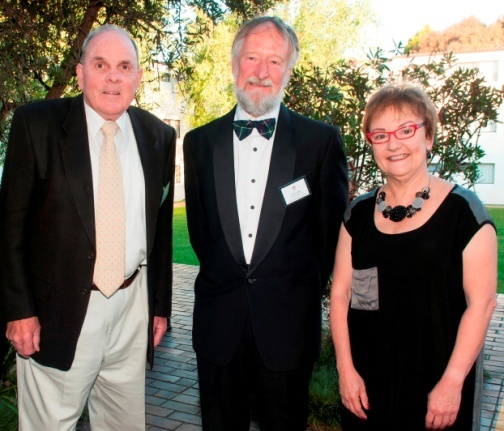 Our reputation for being the 'friendly and more informal' UNE College began with our first Master, Dr Brian Seppelt. 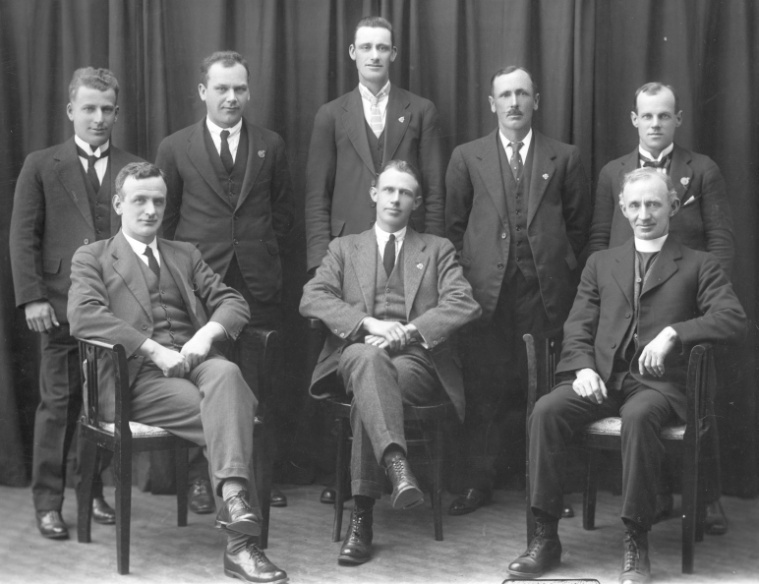 "Doc" Seppelt (on left of image) was Master until 1977 when Dr Alan McKenzie (centre) took over the position. Dr McKenzie continued to build on these strong foundations for the College and after 31 years as Master of Austin College, he retired. In 2009, Mr David Ward (not pictured) took over the helm. Austin College gained our current Head Ms Andrea Gledhill (pictured, on right) in 2010. Andrea is dedicated to maintaining and generating the unique energy of Austin College established by its former Masters and continually being passed on by generations of alumni and students. Dr R B Austin, left front row. Returned Soldiers and Sailors Club 1923.